Moist, delicious and easy to make homemade Banana bread recipe. The ultimate comfort food, gingerbread is a perfect treat to serve. Serve it warm with coffee or tea. A fascinating recipe for coconut lovers. Sweet, flavorful and chewy, coconut burfi is one of my favorite sweets. Fresh coconut cooked in cardamom flavored sugar syrup. 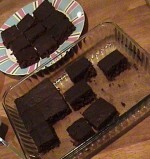 These brownies are a wonderful chocolate treat made even a bit more flavorful with the addition of coffee. Simple and easy recipe of burfi which is prepared from milk, sugar and served cut into diamond. 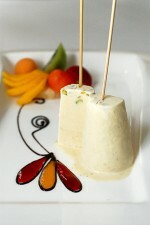 Sumptuous and succulent dessert for all ocassions. A wonderful yet easy recipe of creamcheese pudding. A wonderful pudding of lentil, rice and milk. Easy to make Hard to resist! Delicious homemade ready in minutes dessert. Everyone will love it.